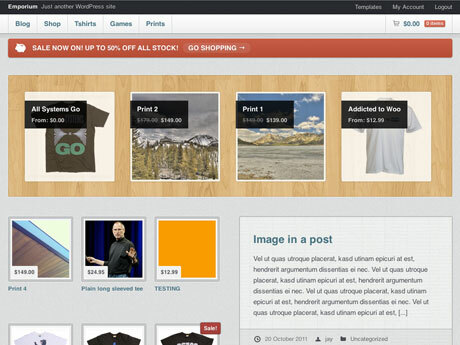 Storebox for WordPress: turns your website into a fully-fledged e-commerce store. It supports multiple product types and payment gateways. 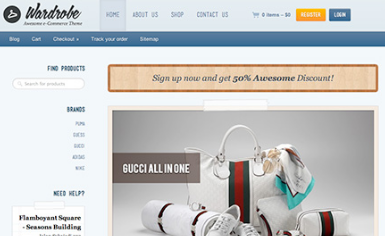 Emporium: based on the all powerful WooCommerce platform. It has a responsive design and is easy to customize. The Clothes Shop: it has 30 collapsible widgets. It has a protected account area. You get 22 custom widgets. 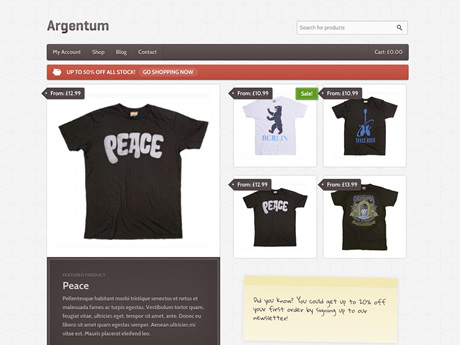 Argentum for WordPress: this theme works for small or fairly large e-commerce sites. It has a powerful back-end. It is mobile friendly too. 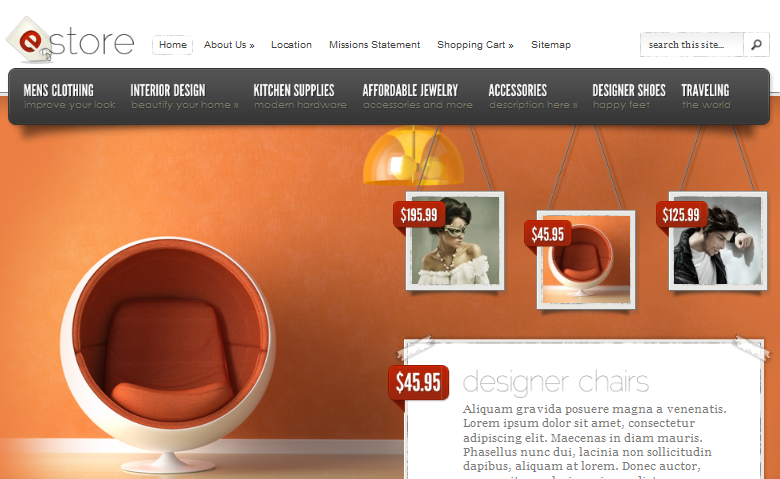 Sliding: another powerful e-commerce theme for WordPress. It is designed strategically to help you promote your very top products on your homepage. 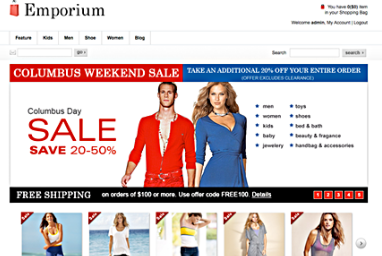 Emporium for WP: offers 3 different layouts. It not only lets you manage your inventory, it has an affiliate program built-in. 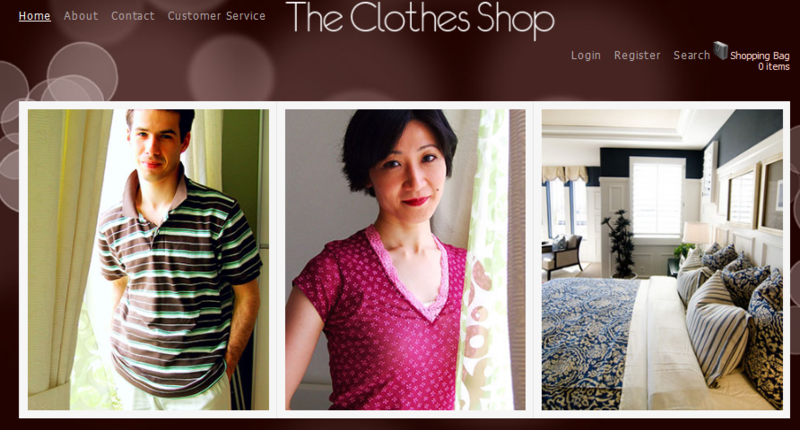 Wardrobe for WP: this is compatible with 3 of the most popular e-commerce plugins available for WordPress (WP e-commerce, WooCommerce, Jogoshop). It has an easy-to-use admin panel. eStore: it has 5 color schemes and offers support for eShop and Simple PayPal Shopping Cart. Its ePanel system is quite helpful. If you are looking to bring your offline clothing store online, the above themes can more than do the job. Fix your links. They're outdated. Well, the post is a bit old. Those broken links point to themes that are not available anymore. We will have to remove these or disable them in the future.